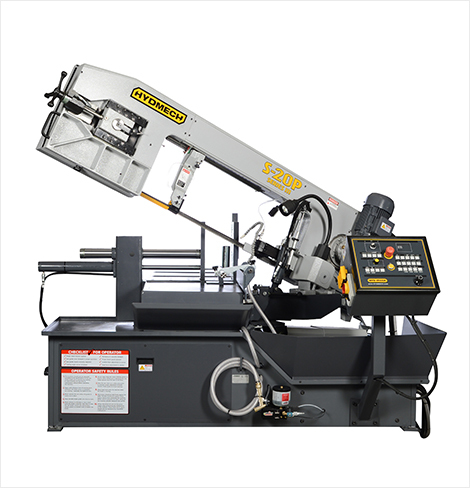 Description: The S-20P, semi-automatic scissor style band saw features a swing head design and provides exceptional miter cutting capability for light to medium duty applications. Its digital LCD display shows machine mode, pieces cut, blade speed, blade tension, amperage draw of blade motor, cut duration, overall machine run time, and head position. Featuring a 13"H x 18"W capacity at 90°, 3 HP motor, and 1" blade, the S-20P is a versatile semi-automatic scissor style band saw ideal for use in tight working spaces.